Dems promise to drag out Trump’s cabinet nominations. Trump can replace 15 percent of the U.S. judiciary immediately. 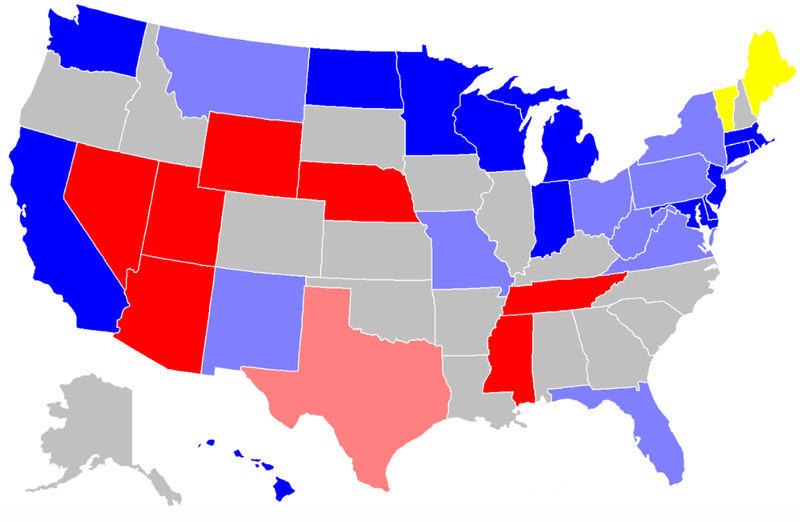 Senate races in the ‘Blue Wall’ states. Executive: It may be petty and ineffectual, but Democrats are threatening to use what little power they have to drag out the confirmation process for eight of Trump’s cabinet nominations. 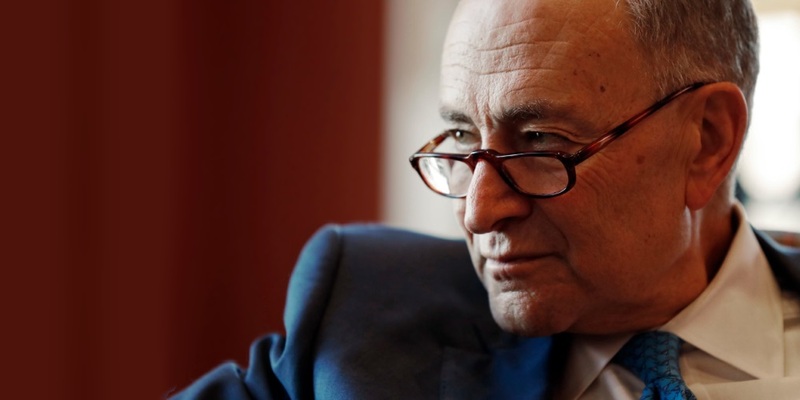 Chuck Schumer, the new Senate Minority Leader, is leading the charge in this regard with threats that seem mostly calculated to placate the Democrats’ left-wing base. The problem is that Democrats essentially neutered themselves in blocking nominations when they invoked the so-called nuclear option in 2013, removing the minority party’s ability to prevent executive and lower judicial branch nominations from coming to a vote. But they have just enough power still that they could delay some confirmation votes until March. This will be done by blocking unanimous consent for timely committee hearings and otherwise using dilatory tactics that cannot succeed in the long run. This is a good strategy for irritating a lot of people, and pleasing a very small leftist minority of voters, but it won’t prevent much in terms of policy. It will also help further erode Senate comity, after years of the retiring Harry Reid making the body a less friendly place. These plans to keep the cabinet empty as long as possible are also contrary to the courtesy that Republicans gave President Obama’s nominees in 2009. And in fact, the Washington Post calls it “an unprecedented break with Senate tradition. Among the nominees they plan to target is one of their own — Alabama Sen. Jeff Sessions, Trump’s announced nominee for attorney general. The Democrats’ stated excuse is that so many nominees have great wealth, but this is a smokescreen. Schumer is fearful of a progressive rebellion, and he’s coming right out of the gate with a plan to mollify his party’s base. Among the nominees Democrats don’t plan to obstruct: James Mattis as Secretary of Defense; Nikki Haley as UN ambassador; and John Kelly as Homeland Security Secretary. Judiciary: The sudden and unexpected death of Antonin Scalia was an emotional low point for many conservatives. The idea that President Obama would replace such a conservative legal lion was, of course, depressing. 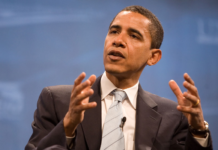 Then Republican senators simply refused to move on Obama’s nomination of D.C. Circuit Judge Merrick Garland, with Senate Majority Leader Mitch McConnell declaring that the people would decide in November which direction to move the high court. Even this offered little consolation, as no one — including his supporters — gave Trump much of a chance of winning through most of 2016. Now, the story is different. Trump will pick Scalia’s replacement. Depending on whom Trump chooses, this may provide a lifeline for Scalia’s conservative brand of originalist jurisprudence. It is also very likely to help curb at least some of the high-profile cases that liberals are likely to bring in order to enact sweeping, dramatic changes without any changes in the law. Even so, the Supreme Court doesn’t even hear 1 percent of the cases that come before the federal judiciary. In fact, it famously refuses to “grant cert” to (that is, to hear) the vast majority of cases that appellants try to bring before it. And that means the lower federal courts are nearly as important. This is especially true as the states, under a level of Republican control unprecedented in modern times, sally forth into policy areas that Democrats are likely to challenge in the federal courts. There are currently 112 federal judicial vacancies, including 17 on the all-important appellate courts. There are another 15 vacancies that have been announced through June, although at least one of these (that of Merrick Garland on the D.C. Circuit) is unlikely to open up. This means that President Trump, immediately upon taking office, will have the opportunity to replace more than 15 percent of the federal judiciary, which in all has 673 district judgeships and 179 circuit judgeships by statute. The Democrats’ decision to go nuclear in 2013, abolishing the minority’s ability to block lower court nominations, makes Trump’s job in filling court vacancies that much easier. There are still Senate traditions that will limit how much Trump can do and how fast (the tradition of senators approving judges from their own states being one of these), but the reality is that there will be fewer obstacles to Trump reshaping the judiciary than Obama faced. And thanks to a very Democrat-unfriendly Senate map in 2018, this is likely to remain the case for all four years of his term. Republicans can think of this as a bullet dodged. President Obama, in confirming roughly the same number of judges as President Bush, managed to achieve Democratic dominance in the lower courts. Sixty percent of sitting district court judges are Democratic appointees, as are 52 percent of sitting circuit court judges. What’s more, Republican appointees have numerical superiority on just four of the 13 circuit courts. Had Hillary Clinton won, she likely would have been able to replace all of the remaining judges who had been appointed by Presidents Bush, Reagan, and even Ford (there are two of his appointees left on active status), for a total of 23 Republican appeals court and 35 district court judges. At the margin, this would have resulted in a level of Democratic dominance on the appellate level not seen in many years. Now, Trump will have a chance not only to replace those older judges, but also to re-establish near-parity on the appeals courts in Trump’s first year. And the refrain that prompted many to vote for him — “but judges!” — will be quickly put to the test. Tier One: Five states in which Trump won by more than 18 points (Montana, North Dakota, Missouri, Indiana, West Virginia). Tier Two: Ohio, where Trump won by more than 8 points (Ohio). Tier Three consists of four other states in which Trump won very narrowly (Wisconsin, Michigan, Florida, and Pennsylvania). In Tier Four are the map-extenders: Maine, New Mexico and Virginia, where Trump fell short but the right Republican candidate could make a real race of it in the right sort of year. Last time, we looked at the opening conditions in the Tier Four races. This week, we will look at two of the four races in what we called “Tier Three” — Senate seats that are up in states Trump narrowly won. Florida: The big question here is whether Sen. Bill Nelson, a former astronaut and the only statewide elected Democrat in Florida, follows through on his stated intention to seek re-election. Immediately after the 2016 election he said he will do so, and he probably has the energy for it. But he will also be 76 years old by Election Day 2018. And there’s a possibility he will face Gov. Rick Scott, R, who may not be the most popular Floridian but has, for all practical purposes, an infinite amount of his own money to spend. For some — but perhaps not for Nelson — that might be an inducement to hang it up. Nelson was narrowly elected to his seat in 2000 and has not faced a serious challenge in the time since. His state party is a complete basketcase whose weakness has only gotten worse in the time since the razor-thin 2000 election finish and recount controversy. 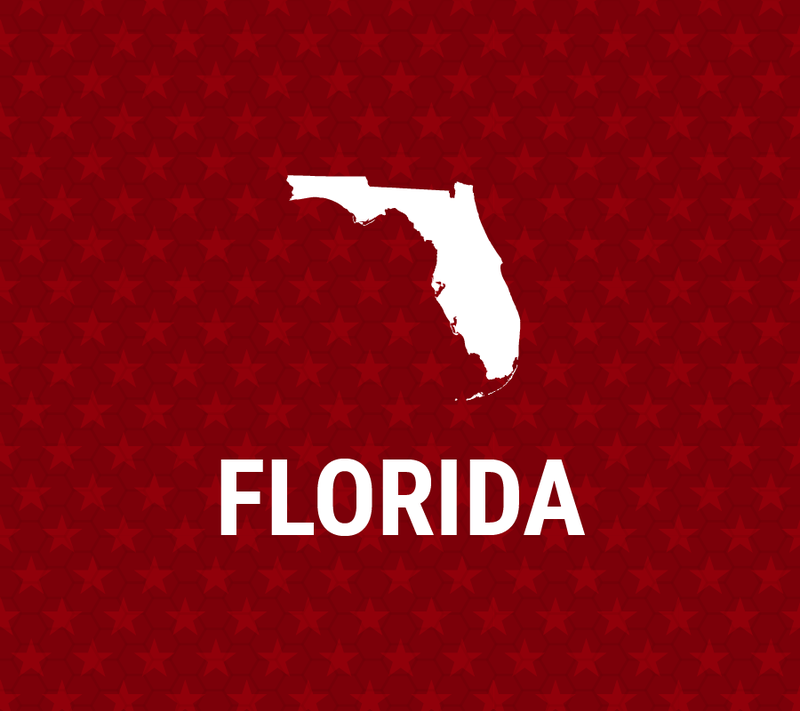 Despite Florida’s perennial competitiveness, Nelson and former one-term state CFO Alex Sink are the only two Democrats to win a statewide race in Florida since 2000, aside from Barack Obama, who carried it twice. Were Nelson to hang it up, Democrats would be hard-pressed to come up with a viable alternative. A Scott-Nelson contest would be a huge affair and get top national billing. A Scott-versus-anyone-else contest would probably be a race most ambitious Democrats would shy away from — as well as most Republicans in the primary — if only for the enormous amount of fundraising that would be required to compete. But Nelson would not be easy to beat, and as he pointed out in November, it will be Trump’s first midterm — perhaps a good midterm for seasoned Democratic incumbents seeking re-election. 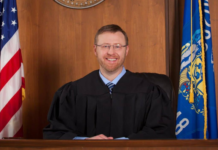 Wisconsin: Since 2010, Republicans have lost only three noteworthy statewide races in the Badger State: One re-election of one liberal state Supreme Court justice, the 2012 presidential race, and the concurrent race that put Sen. Tammy Baldwin, D, into her current post. The state Republican Party has, over the same period, seized and held both houses of the state legislature; established a 5-2 majority on the State Supreme Court; won two U.S. Senate races three governor’s races (including a recall), and all of the races downballot except against Doug Lafollette, who has served as Secretary of State for 38 of the last 42 years. Rep. Sean Duffy, R, who represents a very Trump-ish working class district in northwestern Wisconsin, is viewed as the odds-on favorite in any primary. As a young and fresh face, he could be quite a force in the general election, especially if he can carry his own district and rack up the kind of support that Ron Johnson just won in the heavily Republican Milwaukee suburbs downstate. 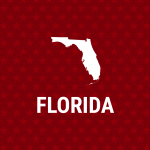 But of course, Republican chances here, as in Florida, will depend heavily on how Trump’s presidency seems to be going at that point. We will have a better idea by the end of the new year whether Trump will be an asset or a liability in campaigning for candidates, especially in the states like Wisconsin where he had an unexpectedly strong appeal. And that goes double in this case, given that Duffy was one of the Republican officeholders who never wavered in his support of Trump after he had won the nomination. Previous articleCan Trump Balance Defense and the Budget?